Although it’s going unnoticed by most of the world, today is the start of the toughest sporting event on the planet: the annual Stanley Cup Playoffs. Yes, I know: World Cup is the Big Kahuna; more people watch baseball; rugby is strength and stamina; and Aussie Rules Football is nothing short of legalized assault and battery. But, big wow! Kilo for kilo, the National Hockey League’s Stanley Cup is the hardest trophy on Earth to play for and the most difficult to win. Tonight, sixteen ice hockey teams will start a two month marathon which is the most grueling tournament in professional sports. Lord Stanley’s Cup is reserved for the mentally strong and the physically resilient; no others need apply. If you can’t cut it, go home: this is a game for the brave. 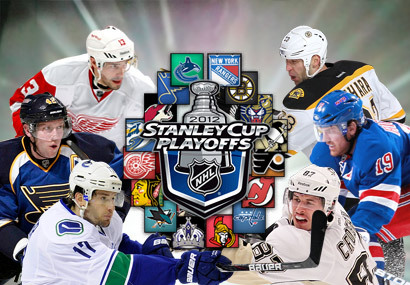 The rules of the Stanley Cup Playoffs are simple: win 16 games – four out of seven against each opponent. If you do that, the Cup is yours and, unlike most professional trophies, you can do what you want with it. Most players take it back to their hometowns to show the parents and their old friends what they’ve been doing for the last couple of years. 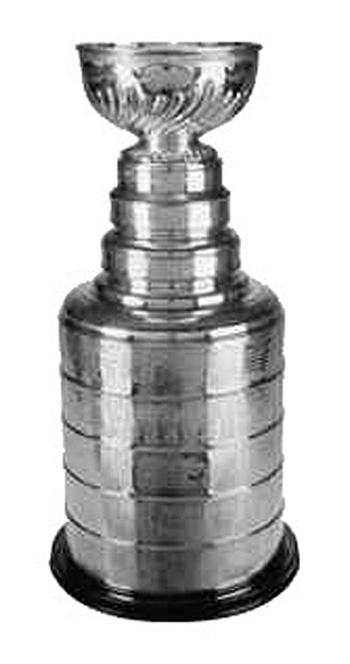 That’s the thing about the Stanley Cup: it has an old time feel about it. It’s small town puppies and lemonade, not big city glitz. The teams might be located in New York and Los Angeles, Toronto and Montreal, but the players come from Pincourt, Grimsby, Livonia and Ornskoldsvik. They are the boys of winter who learned the game after school. 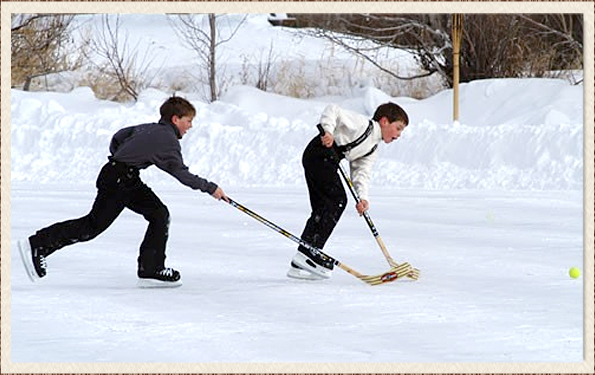 They played on artificially frozen ponds, just like their grandfathers did on the real thing. They understand the heritage of the game and the structure. They know what it takes to win: straight-edged mental toughness that destroys your opponents’ will before he does that to you. So every second night (or thereabouts) for the next two months, young men will lace up their skates and fly at each other in a series of full-contact ballets, choreographed at 35 MPH. Directing a 3 inch rubber disc with a curved stick on glare ice takes the hands of Picasso. Delivering and absorbing punishing body checks in full battle dress takes the physique of Baryshnikov. Constantly remembering your place on the ice — at top speed — takes the concentration of Boris Spassky and Bobby Fischer combined. 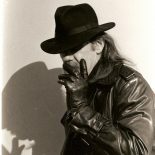 But to do all these things, night after night, travelling back and forth across the continent can only be learned by the self-discipline of desire. These boys want the Stanley Cup more than anything else in the world. As children, they dreamed about it and practiced and skated alone with the puck until the stick they carried became an extension of their arm. As adolescents, they lost teeth, forgot birthdays and missed the girlfriends they grew up with. Now, as men, they are willing to tape up their injuries, stitch up the gashes, patch over the bruises and ignore the pain and nagging fatigue to take just one skated circle with the Cup in their hands. 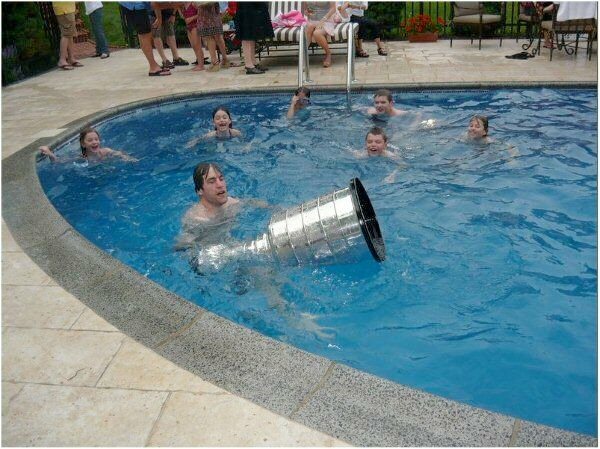 Superstition has it that no hockey player may even touch the Cup until he wins it. I’ve never wanted anything that badly. This entry was posted on April 11, 2012 by wdfyfe in Social Media and tagged hockey, ice hockey, National Hockey League, social comment, Sports, Stanley Cup, Stanley Cup Playoffs.